The 28-year-old recently signed a contract for £ 15m ($ 19.3m) for English Premier League club Cardiff City. 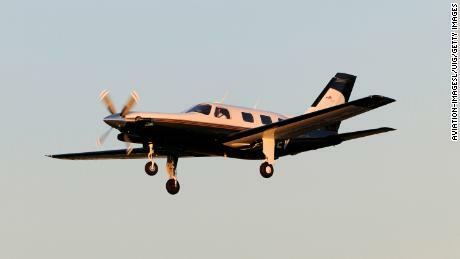 The plane, a single turbine Piper Malibu, flew from Nantes in northern France to Cardiff when it disappeared from the radar just before 8:30 pm. Local time Monday. Sala's name was on the passenger list, said Frederic Solano of the French General Directorate of Civil Aviation to CNN. Cardiff City said Tuesday it was "very concerned about the safety" of its star signing. The club said it was "clarification" what happened. "We are very concerned about the latest news that a light aircraft lost contact across the English Channel last night," said Cardiff City Chairman Mehmet Dalman. 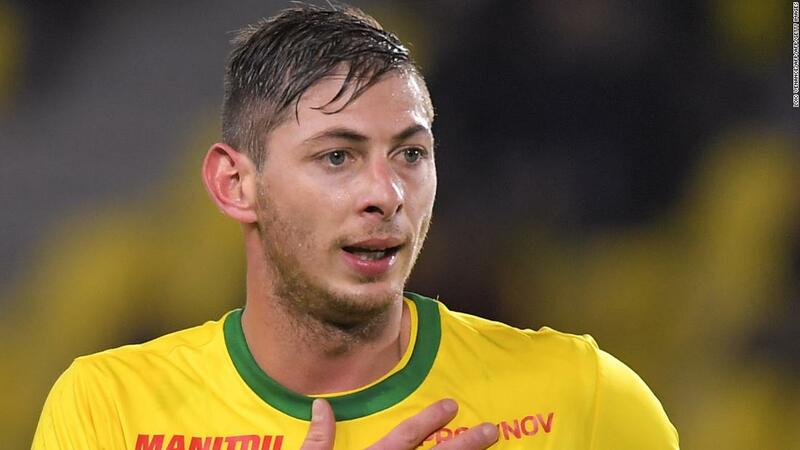 "We wait for confirmation before we can say anything further, we are very concerned about the safety of Emiliano Sala." 2 goals this season for Nantes. Cardiff is in the relegation zone of the Premier League. In his last tweet on Monday, just hours before the scheduled flight, Sala had posted a photo of him to the Nantes FC team and the caption: "The last one, goodbye." A team of rescue boats and helicopters from Guernsey and the United Kingdom A helicopter from Cherbourg in France searched on Tuesday for the plane that had disappeared 24 kilometers off the island of Alderney. The search was temporarily halted in the early hours of Tuesday morning due to strong winds "Deterioration of the sea conditions and reduced visibility," police said before resuming at 8 o'clock local time. "At that time (of disappearance) there were some showers, but nothing too violent. Wind speeds were not too bad – – The average speed was 15-20 mph." Meteorologist Mark Wilson told the British Press Association. The plane left Nantes at 7:15 pm local time and flew in 5,000 feet, police said, but as they passed Guernsey, they demanded descent and air traffic control lost contact at 2,300 feet during the flight.